Azerbaijan is a former Soviet republic and is located at the crossroads of Southwest Asia and Southeastern Europe. Azerbaijan is a member of the United Nations and also the Council of Europe. Visitors to Azerbaijan must get a visa from one of the Azerbaijan diplomatic missions unless they come from one of the visa exempt countries. Passports must be valid for at least 6 months. Travelers to Azerbaijan are allowed to bring in 600 individual cigarettes, 3 liters of alcoholic beverages, a reasonable quantity of perfume for personal use, goods up to an amount of USD 1,500 for personal use, and personal effects. I bought my ticket from Aeroflot Airlines and the flight and services on board were fantastic. I visited many attractions in Azerbaijan including the Azerbaijan 12th century maiden tower, Azerbaijan Carpet Museum displaying carpets and rug items, National Museum of History of Azerbaijan, National Art Museum of Azerbaijan, Hirkan National Park, and Fountains Square which is a public square in downtown Baku. Azerbaijan has many great attractions including the Palace of the Shirvanshahs, the Azerbaijan Maiden Tower which is one of the most dominant architectural pieces, the Atashgah Fire Temple or the Fire Temple of Baku Azerbaijan, and hamams or public baths. Q. I do not speak Azerbaijani, is it a problem? A. The people of Azerbaijan are very friendly and they will help you find someone who speaks your language. In most tourist destinations, like hotels and resorts, you can find someone who speaks Russian or English. 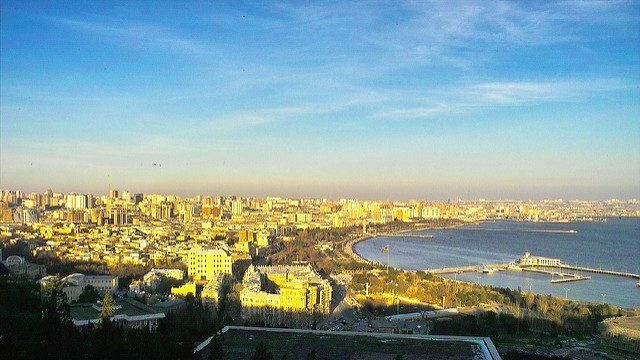 In Azerbaijan, the young people learn English and Russian languages and most likely can help. Q. Is Azerbaijan a safe country? A. The Republic of Azerbaijan continues to be one of the countries with the lowest crime rate. There is almost no street crime and walking around the town at 3 am is even considered to be safe. Airports handling direct flights to Heydar Aliyev International Airport • Doha International • Domodedovo International Airport • Sheremetyevo International Airport • Astana International Airport • Istanbul Atatürk Airport etc. There are direct flights to Azerbaijan from Astana through Air Astana Airlines, Istanbul through Turkish Airlines, Moscow through Aeroflot Airlines, Kiev through Ukraine Airlines, and Doha through Qatar Airways. The main international airport is the Heydar Aliyev International Airport, located in Baku. The national airline, Azerbaijan Airlines, flies to many international destinations such as Moscow, Milan, New York and Beijing.